Hello everyone! I am Yuka and this is my first Pion project. 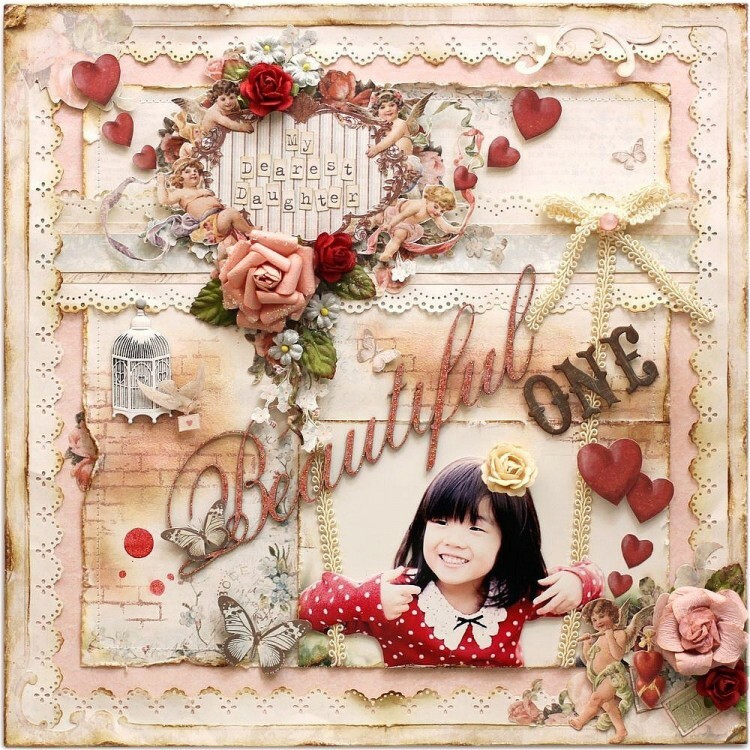 I created a layout with From My Heart 2 collection. I love this collection! I am cutting out a lot of design in papers. I look forward to create more projects with the Pion Design papers. Those papers are amazing. Beautiful LO. A very beautiful LO!! WOW!! ohhhh wowzers, this layout is absolutely gorgeous! 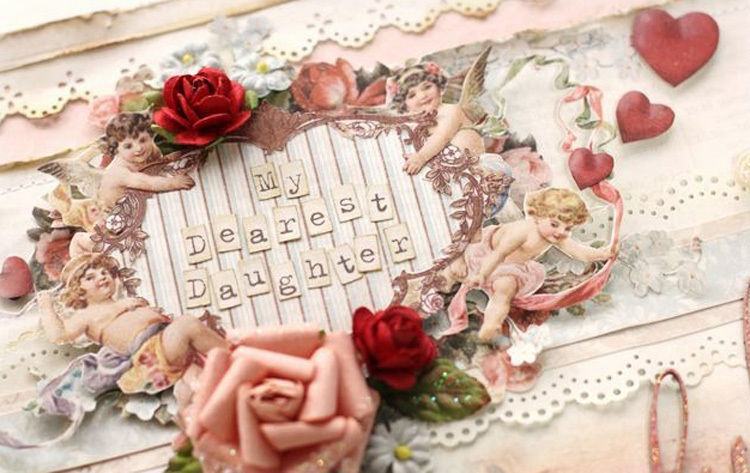 Each details so pretty and those papers are a delish! Love it!